“I think that was Justin Timber-what’s-his-face serving me my Gin & Tonic?” I can imagine a few people in their ‘later years of life’ whispering to each other as they go on their annual holiday. Welcome to Air Canada Rouge’s new uniform. Following the trend of the capsule wardrobe that most North American Carriers seem to be following, Air Canada Rouge’s uniform is a relaxed and colour co-ordinated collection that seems to fit the brand ethos of the airline. Personally, we love this uniform, there is a fun modern element to it that we feel the livery should have embraced a little more. There is also a dis chord between the livery and uniform brand elements. 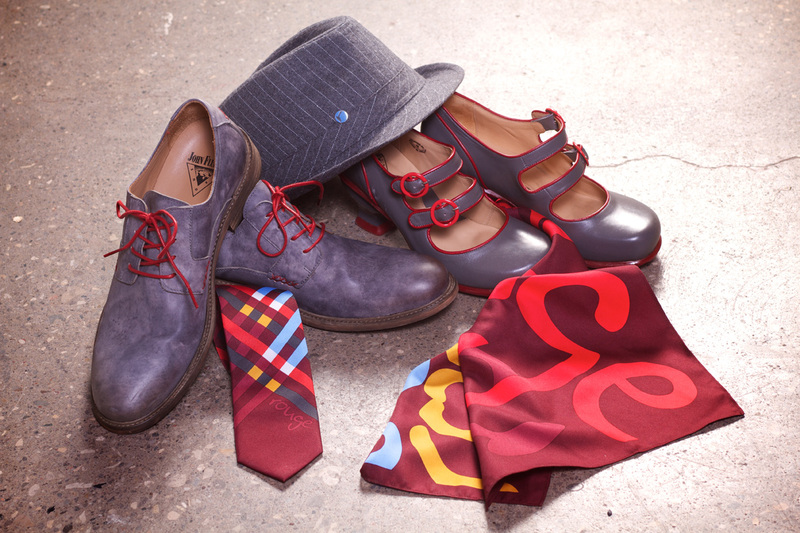 The trilby hats are our favourite elements, along with the Fluevog shoes and designer ties and what is refreshing to see is a wealth of colourful elements at last, shouting above the usual blues and greys of North American carriers (Much like United’s latest uniform launch which wasn’t anything to write home about). I don’t even know what to say except they should have hired better looking people. Oh, and leave the hat to the women. Are you sure the ties weren’t donated by Avianca? Just an FYI they used flight attendant trainees that are currently in training as the models which I think is amazing. Any model can make most anything look nice. Koodos to air canada rouge for using actual employees. Although I’m not sure I’m fond of the uni’s lol. Modern, simple, comfortable. It’s serves its purpose for this holiday airline, but I agree it lacks a certain authority (call me crazy, but that’s why I absolutely like the uniforms worn by the Iran Air crew). I wonder what you guys think of the recently released uniforms from United and Norwegian. Welcome to Hipster Airlines, we stopped caring before it was cool. I like the uniform, but I don’t like the hats. Why do they have to have hats? Looks a bit informal, sort of LCC kind of uniform. As a Longtime Airline Employee, THESE Uniforms are GARBAGE! The Day I would wear such S*IT is The Day I RETIRE or Quit………….PERIOD. WTF!? The Designers need a New profession or maybe a Bullet to the Head. Great to see the fresh faces modelling the new look. And can hardly wait to see what the real attendants look like in these unis…. but sadly, one thing probably won’t change… and that’s how AC attendants sound… arguably, the single most disenfranchised unionised group of people who are simply unhappy with their station in life ….and have zero pride in being true servers….SERVING and TAKING CARE of a customer’s needs. Cathay…Singapore…Korean…. ANA…. culturally superior. Kelly, $23 per hour is below the poverty line? I agree that it is less than they should be making but many people out there make minimum wage which is WAY less than $22.99 per hour and $22.99 per hour is MUCH more than $0 per hour if you don’t have a job. These people have choices like everyone else. They could choose NOT to ear $22.99 per hour and go back to school. Vanessa, $23 an hour based on a 75 hour a month guarantee is below the poverty line, yes. When you started in aviation like I did, and have worked for a number of companies who all go bankrupt, and know nothing more than the industry, there aren’t many other places that will hire you. And working on that wage is hardly enough to live off of and provide for your family let along save up go back to school! love the shoes!!! !and a Canadian Designer. Women shoes are terribly ugly. Definitely a no-no for a standard airlines’ uniform!!! Unless you are slim that uniform especially the pant is most unflattering to the females. Oh we’ll better them than me! 22 dollars an hour may be ok, Vanessa, but when you’re only being paid for 85 hours of work a month it doesn’t add up to much….. So 22.99$/hour X 75 flight hours monthly – 49$ for the Disney training = 1675.25 per month and just about 20 grand a year non taxed….If you think that this isn’t considered minimum wage I’d like to know what you think minimum wage actually is! That is definitely the ugliest uniform I’ve seen in all my days flying. In the worst case scenario, let’s hope that all female cabin crew will be as slim as these models… Based on what I saw during my latest J class trip aboard an Air Canada airbus 321, if the female crew had to wear these uniforms, I am sure that the ”stretched fabric effect” on their rounded forms would have had an incidence on my Chardonnay consumption… Now, what is left for us to do at this point, is to bet on which, between the uniform and the carrier itself, will fade away first. pb. I really like these uniforms…they are fun, colourful and contemporary. Why people are so negative when they dont have to wear them is beyond me. If you look good, you feel good and you want to give better service. These FAs will need it given the cramped seating. being a flight attendant is a level up from working at maccas. It’s not a ‘career’ job. You do it for almost nothing because you get to travel the world. If you are not happy with the pay, get a real job.